Beginning in 2016, the Arkansas Agriculture Department (AAD) and Farm Credit partner in offering the Arkansas Farmers Market Promotion Program. The program provides grants to established farmers market organizations throughout the state to fund promotional items designed to build awareness of farmers market locations and offerings. According to Glen Manchester, president and CEO of Farm Credit of Western Arkansas, which funds the program, “increasing awareness and demand for fresh, local produce benefits local growers and the growing network of farmers markets across the state.” Grants provide cost-share assistance for 75% of promotional items proposed, up to $400. The farmers market location must be a place where a farmer may offer for sale the produce of his/her farm at least weekly during the months of May, June, July, and August. 2) The farmers market must be governed by an organized body in freely obtainable bylaws or market guidelines. 3) On any given market day, the farmers market must have at least 50% farmer-vendors. Cities and towns are reimagining the role that public spaces play in the life of a community and its residents. 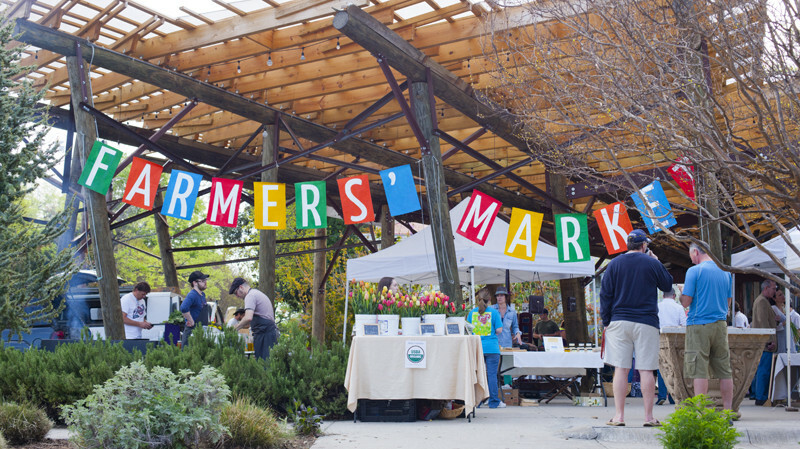 Through the construction of permanent farmers market infrastructure, municipalities and community organizations are finding creative ways create spaces that serve as centers of commerce, education, and civic life. Plans are underway in Columbia Missouri to construct a year-round covered facility for the city’s farmers market that will anchor an agricultural park on the site of the old county fairgrounds. The park will feature an orchard, teaching farm and barn, outdoor classroom, and civic center for community functions. In order to improve food access and spur investment in low-income communities, some states offer grants, loans, and tax incentives to food retailers—including farmers markets—that serve food insecure communities. Created in 2004, Pennsylvania’s Fresh Food Financing Initiative (FFFI), leveraged $30 million in state funding with $145 million in private capital to fund 88 food retail projects across the state. While Pennsylvania’s program primarily funded new grocery projects, its success spurred other states to create similar programs to assist a wider range of food retail establishments, including farmers markets, mobile markets and healthy corner stores. Find out if your state offers a healthy food financing incentive here.